2016 was a gift to wrestling fans. An absolute nightmare for celebrities, and pretty much everyone else in the world, but we were all able to escape from the horrors of the world by watching some outstanding wrestling. And if the first month of this new year is anything to go by, it looks like 2017 is set to somehow be even better. January 2017 is a wrestling fan’s dream, and by the end of it, it could possibly go down as one of, if not the greatest month in wrestling history. Don’t believe me? Well, I’ve got plenty of reasons why. Perhaps not the most monumental of news, but for now, TNA stays alive. It may not be the best wrestling show out there, and pretty much the only thing worth watching on the programme is Broken Matt Hardy, but it is still a non-WWE internationally televised wrestling show that allows its talent to work indie promotions, and that is a wonderful thing for the business. Also, in 2016, TNA demonstrated its worth by hosting some of the most wonderful segments of the year, thanks to the aforementioned Broken One. The Final Deletion episode of Impact set new ratings records for TNA, and Apocolypto (featured as part of Total Nonstop Deletion), was one of the most entertaining pieces of television I witnessed in the entirety of 2016. It’s unlikely that TNA will suddenly set the world on fire in 2017, and it’s a shame that they have the worst logo in wrestling, but for the sake of the wrestling industry as a whole, TNA staying alive for a little while longer is a fantastic thing. January 4th is always guaranteed to be a momentous occasion for wrestling fans. 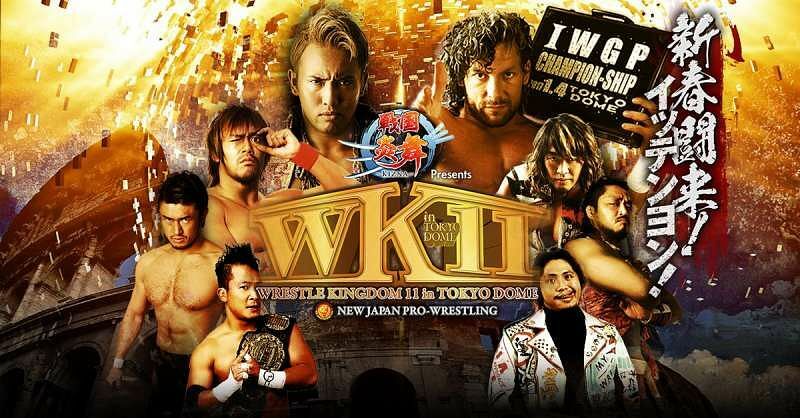 On this day every year, New Japan Pro Wrestling puts on a spectacle of delights for us fans of the graps, and the eleventh edition of Wrestle Kingdom certainly did not disappoint. Admittedly, the event did get off to a bit of a slow start. By no means bad, just nothing too spectacular. But then, as the great J.R would say, business certainly picked up. In the fifth match of the night, we saw the NJPW debut of Bullet Club’s newest member, The American Nightmare, Cody. The arrival of the former Stardust marks the first former WWE star to join the most popular stable in modern wrestling, and adds even more starpower to the world-class roster of talent that is part of the group, and what an addition he is. Cody’s new heelish persona is the perfect fit for Bullet Club, and could mean that the stable will extend its ever-expanding reach even further, to places like TNA and around the American and UK indie promotions. Personally, the biggest debut of January 2017 is the beginning of great things for The American Nightmare, and I’m sure we will see Cody earn his way to a title match in New Japan sometime soon. The first seven matches of WK11 were all decent showings, including a standout ROH Championship match that saw Bullet Club’s Adam Cole recapture the gold, but it was match eight where things really got spectacular. Kushida and Hiromu Takahashi fought for the IWGP Junior Heavyweight Championship in what was at that point, the greatest match of the night by far. Takahashi had recently returned to NJPW after competing in CMLL and ROH as Kamaitachi. The skills he learnt from travelling the world were clearly on display, as he put on an incredible showing against the champion, and in the process, made himself a star. Unfortunately, this match was completely overshadowed by the monumental main event (I’ll get to that soon), so it hasn’t been given the love and admiration it deserves, but on any other card, it would certainly be a show stealer. If you haven’t already, check out this instant classic of a match, you won’t be disappointed. It’s always hard to follow a great match, but Shibata vs Goto certainly managed it with a great showing by both men. What’s more, this was followed by yet another memorable clash between the God-like Naito and the legendary Tanahashi – it really felt like Wrestle Kingdom couldn’t get much better, that is until, the main event happened. Going into it, we all knew that Omega vs Okada would be an incredible match, but what we were given was over 45 minutes of pure wrestling perfection. It’s hard to describe just how impeccably worked this fight was; the tension and excitement built and built and built, beginning with slow, traditional wrestling, to ridiculously dangerous spots involving tables and a Super Dragon Suplex, to a series of false finishes, each more perfectly executed than the last. I was glued to the edge of my seat through the entirety of this epic encounter, and by the last fifteen minutes, I had actual butterflies from excitement. Just when I thought it was over, the match went on for another five minutes, then ten minutes, and I was loving every single one of them. It took an array of Rainmakers to finally finish off Omega, but Okada finally managed to beat the leader of the Bullet Club, in a showing that made both men look like global stars. There’s a reason why Dave Meltzer broke his own rating system and gave this match six stars, and described it as “[possibly] the greatest match in pro wrestling history.” Seriously, if you’re yet to see the clash of Omega vs Okada, you are missing out on what will go down as one of the best of all time. New Japan’s traditions didn’t stop on January 4th. The following night, after almost breaking the internet, NJPW hosted the annual New Year Dash, which saw the usual affair of multi-man tag team matches, and exhibitions of young and old talents. New Year Dash isn’t filled to the brim with excitement and action like Wrestle Kingdom is, it’s more like a relaxed palate cleanser to help recover from the night before. One of the highlights of the night was the NJPW debut of Dragon Lee, one of the best young talents in the entire world. His bouts with Kamaitachi (who is now the new IWGP Junior Heavyweight Champion) blew CMLL and ROH audiences away, and it seems as though Dragon Lee has followed his long-time rival across the globe to reignite their feud in another land. Trust me, having these two men in the same company can only mean incredible things for us wrestling fans. Nothing much else of significance happened through the night (there was a title change, but it was the NEVER Openweight Six-Man Tag Championships so nobody cared), except for in the second from last match, where we saw the return of one of the Japan’s most villainous stables. Two years to the day after they left, Suzuki-Gun shocked the world as they came back to NJPW and destroyed Chaos, including the IWGP Heavyweight Champion, Okada. With members such as Davey Boy Smith Jr, the very entertaining El Desperado, the former WWF Lightheavyweight Champion Taka Michinoku, and lead by the legendary hard-hitting Minoru Suzuki, this team is certain to dominate the New Japan scene for the next few months, giving Bullet Club, particularly Kenny Omega, chance to regroup, recover, and rebuild from their losses before making a triumphant return to their victorious ways. Last year, I witnessed Minoru Suzuki’s brutal strikes and Gotch-Style Piledriver live and in person, and I can safely say that Kazuchika Okada, and the rest of Chaos, is in for a tough time. 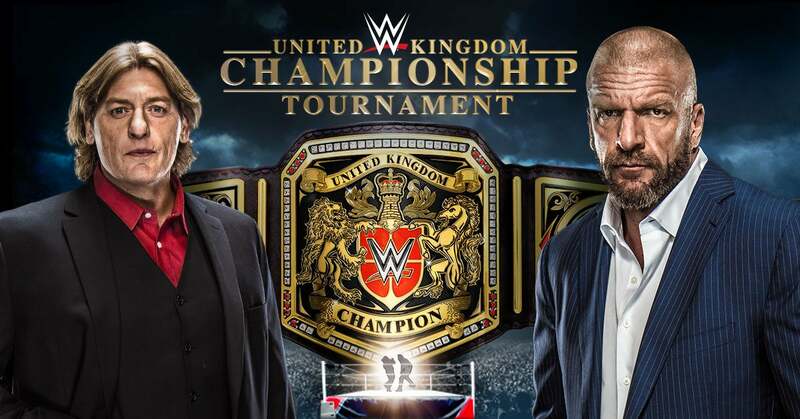 If you didn’t watch the WWE UK Championship Tournament, you missed out on two incredible nights of excitement, passion, drama, and most importantly, fantastic wrestling. 16 world-class talents showcased exactly what they could do to the world over the span of the weekend, and it made for incredible viewing. The British fans showed that they’re the best and loudest on the globe, Wolfgang should that a book shouldn’t be judged by its cover, Pete Dunne showed that he’s one of the most promising up-and-coming heels in the world, and Tyler Bate managed to capture the hearts of everyone watching within just 48 hours. I won’t spoil the results for anybody that has yet to witness this epic tourney, but the excitement and tension was built up so perfect and subtly that you couldn’t help but be on the edge of your seat by the end of it. British promotions such as Progress and ICW were put on display, and British stars of the past and present not involved with the tournament, such as Johnny Saint and Jimmy Havok, were mentioned throughout both nights. The WWE UK Championship Tournament wasn’t the only significant event in UK wrestling that took/is taking place this month though: the previously mentioned Progress hosted two stellar shows this month, and WCPW ran a series of shows early this month involving a ridiculous amount of talent from around the globe, such as Cody Rhodes, Ricochet, and Marty Scurll, but with all things considered, given the prestige and excitement surrounding it, it was the WWE UK CT that was the talk of not only the UK, but the entire wrestling world. You may accuse me of being slightly biased considering it was held in my home country, but I cannot stress enough that even without my home country pride and pre-existing love for UK wrestling, this tournament is still something truly special. Brilliant matches, beautiful emotion, top quality commentary (even from Michael Cole! ), a crowd that is bound to make you smile, some genuinely shocking moments, and hopefully, the births of some new global stars. On January 16th this year, we were blessed with the news that after over ten years, Kurt Angle is finally coming back to WWE. It makes one of the most long-awaited returns in history, and one of the best of all time going back to where he belongs. At this point, we don’t know if Angle will compete for the company once again, if he’s involved in the Royal Rumble or Wrestlemania, or even if we will see him at all in January 2017 – the only thing we’re sure of is that he will take his rightly place in the WWE Hall of Fame two nights before Wrestlemania. Even if Kurt doesn’t make an appearance in WWE this month, this monumental announce alone is enough to make January 2017 one of the greatest months in wrestling history. Although not many matches have been announced thus far, and there’s been very little build to the event, it’s almost a certainty that an NXT special will feature at least one MOTY candidate, and will more than likely outshine the main roster PPV that will follow it. With a Women’s Fatal Four Way that could easily steal the show, and Nakamura vs Roode main-eventing (it’ll be worth watching for their entrances alone), NXT Takeover San Antonio is bound to be yet another amazing show in an overall amazing month for wrestling. The Royal Rumble is always one of the biggest highlights on the wrestling calendar. We get to witness a smorgasbord of superstars, some new, some old, and some surprising, battle it out to be in the main event of Wrestlemania, and most of the time, it makes for incredible viewing. This year though, it seems as though we may be in for the most star-studded rumble since the Attitude Era. Goldberg, Brock Lesnar, Undertaker, Chris Jericho, Seth Rollins, and many more have already been confirmed, and if rumoured entrants such as Samoa Joe and future hall of famer Kurt Angle participate, it could potentially go down as one of the best of all time. Also, if Tye Dillinger enters at Number 10, it will officially be declared the most perfect rumble of all time. WWE, make it happen. That’s not all though, as we are all being treated to a guaranteed classic between AJ Styles and John Cena, among other potentially great bouts. What’s more, with a 60,000 plus crowd that are bound to go crazy over the likes of Taker and Goldberg, the atmosphere will no doubt be epic and on-par with a Wrestlemania. 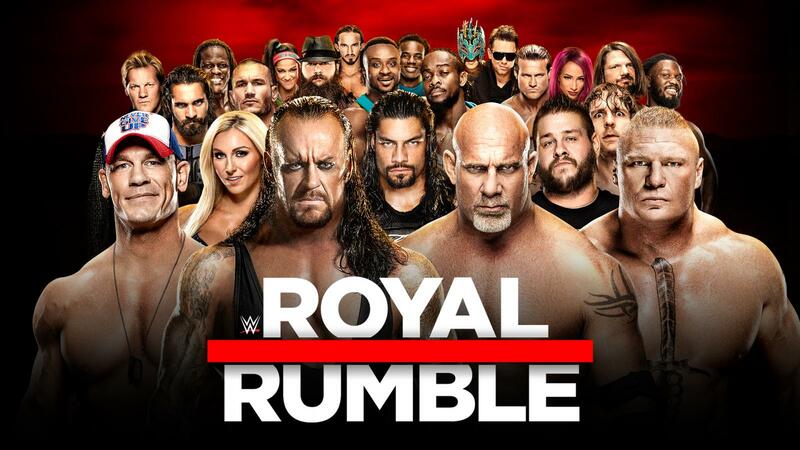 There is so much potential for this event, and so many rivalries, future matches and possible storylines the Royal Rumble could set up; what a perfect way to end this landmark month. It’s hard to gauge what the best month in wrestling history is. Whilst March and April have always been the homes to Wrestlemania, and every August we witness weeks of fantastic action thanks to the G1 Climax tournament, but what makes this month stand out in particular is that has something for everyone: the star power of the Royal Rumble for casual and long term fans alike; unbelievable wrestling matches for the more diehard of fans; history making events like the birth of a new championship and the first ever six star match; outstanding UK wrestling; and moments that will never be forgotten. The greatest month in wrestling history? It just might be. For more wrestling, follow me on Twitter @HairyWrestling.